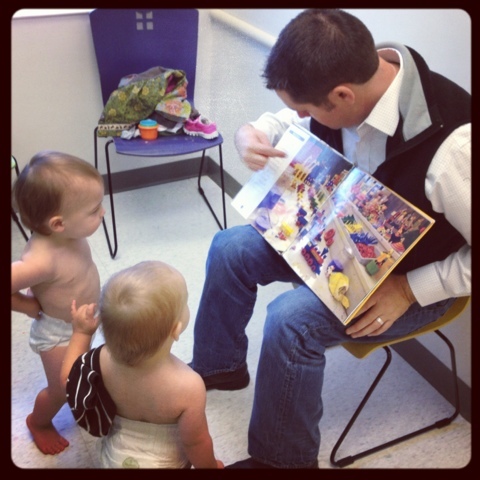 Trying to entertain the duo can be a challenge...this was a good moment while we wait for the Doc. It went all down hill from there...we were behind on our shots. You can image how the rest of the appointment went.